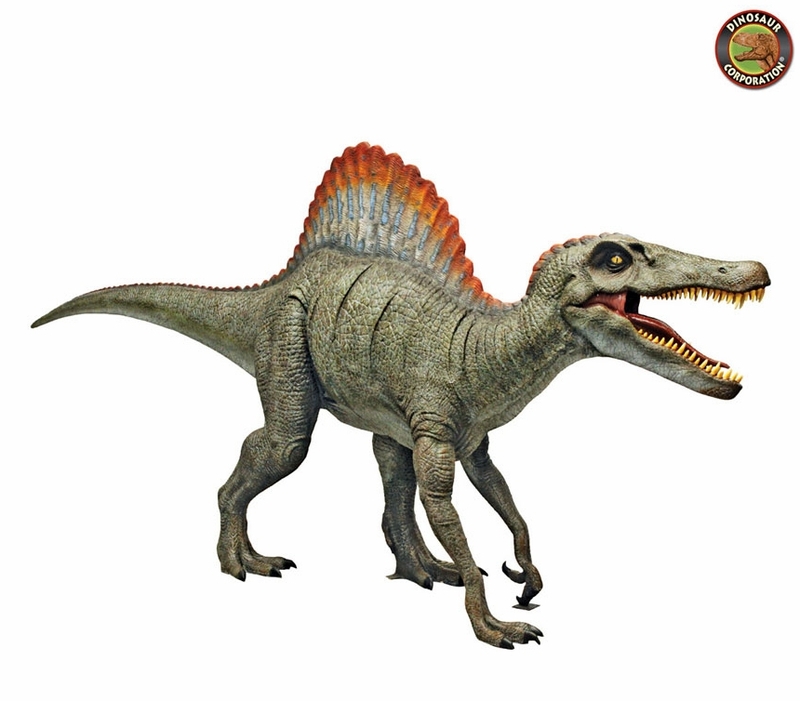 Home | STATUES | Jurassic Spinosaurus Dinosaur Statue 209"
Jurassic Spinosaurus Dinosaur Statue 209"
The "spine lizard" dinosaur may be the largest known carnivorous dinosaur, even larger than Tyrannosaurus Rex! The Spinosaurus lived both on land and in water like a modern alligator. Its spiny vertebrae called a "sail," grew up to two meters tall and possibly regulated its temperature. Our prehistoric replica dinosaur statue is cast in quality designer resin, reinforced for supreme strength with fiberglass and hand-painted with powerfully convincing color and texture to be as faithful as possible to the form of its ancient species. * Please contact Customer Service so we can arrange delivery service.